Jill Robinson, founder of Animals Asia inspired me so much after seeing her speak in Birmingham last year, I immediately decided to step outside my comfort zone to help raise funds for their ongoing incredible work with regards to animal welfare in Asia. Born in Nottingham, but now living in China, Jill founded Animals Asia in 1998 after an encounter with a caged bear on a farm in southern China. It changed her life forever and Jill vowed to put an end to bear bile farming. 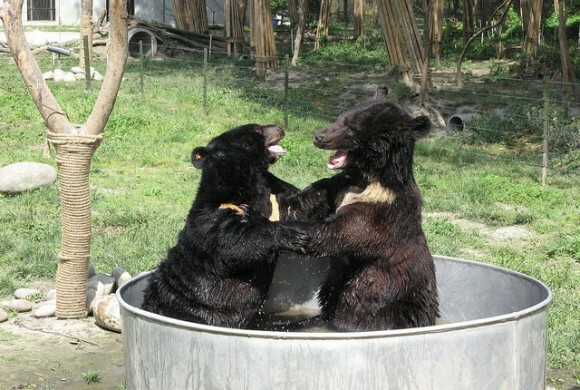 Since this time Animals Asia have rescued over 500 bears in China and Vietnam. Jill with a rescued bear. But this isn’t all they do, the non-profit organisation have also been key, alongside other charities in raising awareness to the Yulin dog festival. In the past 10,000 dogs have been killed over two days at this festival, but through exposure and growing pressure from both East and West united, this has now been reduced to less than a 1000. 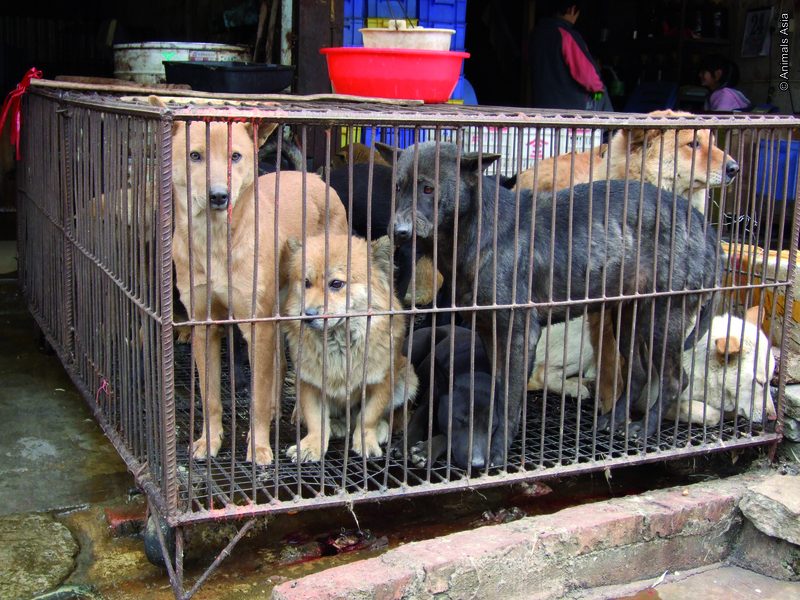 Dogs caged at a market, many of whom are stolen pets. Not many months ago the charity also uncovered the plight of a live polar bear held captive in a small glass enclosure, in what has been dubbed ‘The world’s saddest zoo.’ Grandview Zoo is squeezed into a shopping complex in China, presumably the owners believing it will be an added attraction for families. 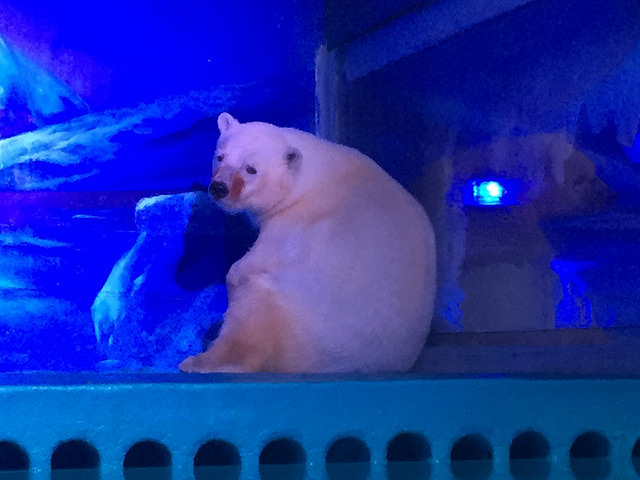 Through international pressure and a petition signed by almost 130,000 animal lovers for the Grandview Zoo to close, a meeting was held with the senior staff and Animals Asia. The outcome was a redesign of the zoo and to allow Animals Asia to give advice on improving the lives of the captive animals as well as offering vet care. As yet though there remains no suggestion that Grandview will close the aquarium, or rehouse animals. Jill and Animals Asia are making great strides, but still have so much more to do, which is why I have been training ridiculously hard for ‘The Great Wall of China Trek Challenge’, where I will be part of a team helping to raise funds for Jill’s Animals Asia in October this year. Five days, trekking approximately 7/8 hours a day across some of the remotest parts of the wall. 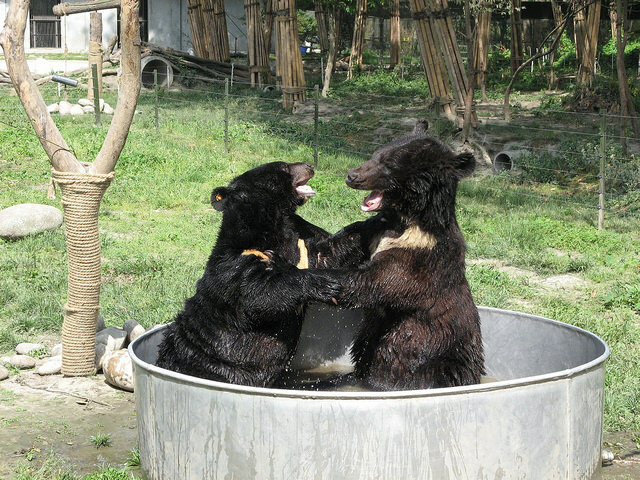 Rescued bears enjoying a splashing time together. Over the past couple of months’ I have been raising money not only through my Just Giving Page, but also from a % taken from my book sales ‘There Is a Way‘ at events I have taken part in and donations kindly received at these functions too. My fundraising total is now just over £2000, however, my target is £3400 and with only a few weeks to go to achieve this, I am calling on your support too. If you can make a donation towards my Great Wall of China Trek Challenge, no matter how small please follow the link below. Thank you in anticipation of any help you may be able to give.